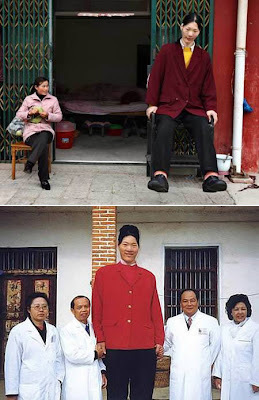 Yao Defen claims to be the tallest woman in the world, with 7' 8" (233 cm). She weighs 200 kg (440 lbs) and has size 26 (UK) / 78 (EU) feet. Her gigantism is due to a tumor in her pituitary gland. 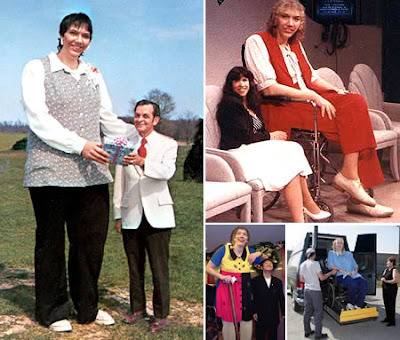 Sandy Allen appeared in the Guinness Book of World Records since 1976 --and until 2008, when she died-- as the tallest woman in the world. 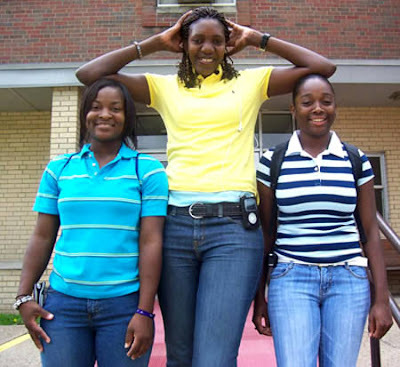 She was 7' 7¼ " (232 cm) in height. 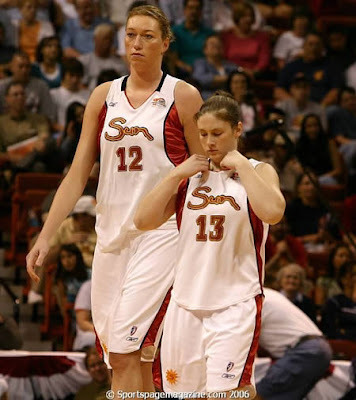 Malgorzata (aka Margo) Dydek, a basketball player in the US, is 7'2" (218 cm). 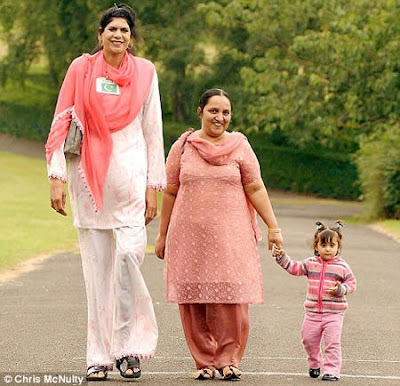 Zainab Bibi, 7' 2" (218 cm) as well, was recently allowed to stay permanently in Britain because she claims her height has made her a target at home, Pakistan. 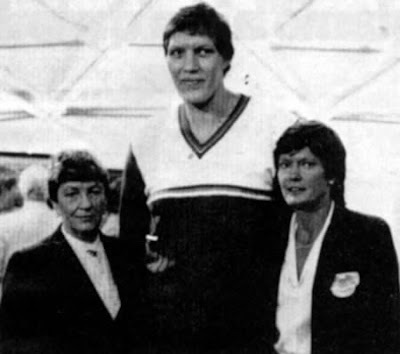 Standing at 7'0" (213 cm), latvian Uljana Semjonova was the leading women's basketball player in the world in the 1970s and 1980s. 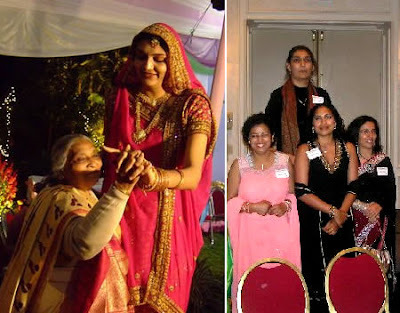 Gitika Srivastava, former basketball player from India, is 6' 11" (211 cm). Malee Duangdee is Thailand's tallest woman, with 6' 10" (208cm). Germany's tallest girl, Caroline Welz is 20 years old and 6' 9" (206 cm) tall.